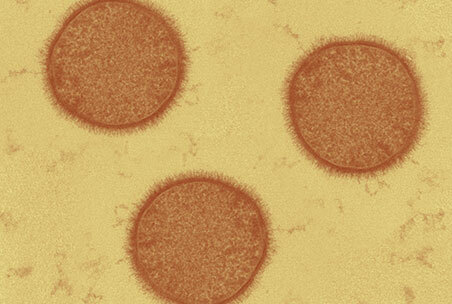 Glycans and Cells | GlyTech, Inc. If we view animal cells through a microscope, they seem packed together with no space between them. However, if we enlarge the image we can see gaps where the surfaces of the cells do not seem to be touching. Cells viewed through a microscope. 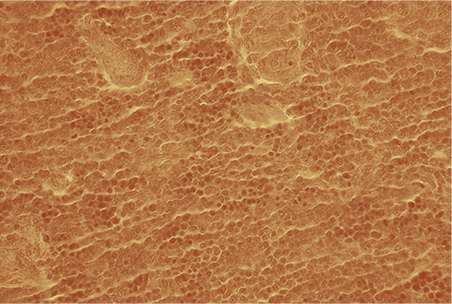 Microscope image of individual cells showing their hair-like surface covering of glycans (the”glycocalyx”). Zooming in even further towards the surface of a cell reveals a hair-like covering of glycans that project away from these cells. 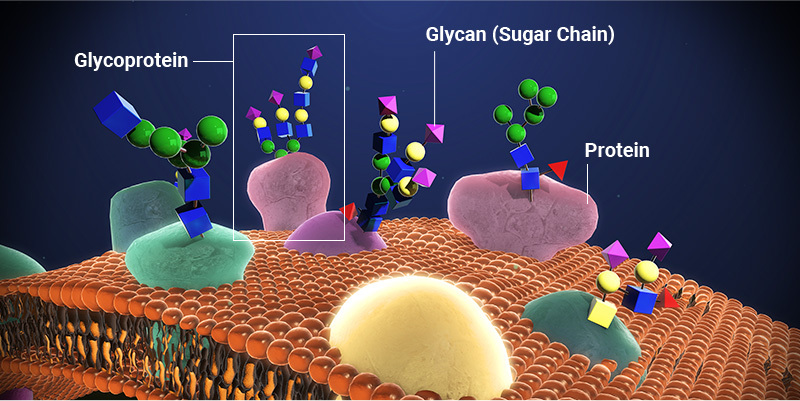 These glycans are attached to proteins and lipids embedded in the surface of the cell.”Glycoproteins” can be found on nearly all types of cells, and their precise structures vary between cell types. Visual representation of glycoproteins embedded in a cell membrane. These surface glycans act as markers for cell identification and information exchange, which can change how cells behave. For example, glycans are responsible for the existence of the ABO blood type system. Representation of ABO sugars on red blood cells. Glycoproteins are not only found on cell surfaces — proteins are also involved in nearly every biological process inside cells, and can also be found in the blood and the extracellular matrix. Many of these non-surface proteins have attached glycans that are vital to their structure and/or function.